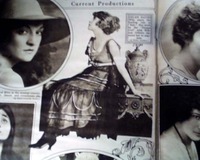 LIFE MAGAZINE, New York, April 21, 1910. 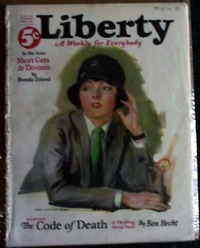 A great issue for framing and displaying! 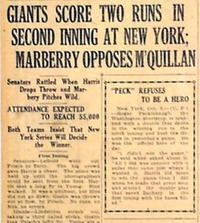 LIBERTY, August 23, 1924. A great issue for framing and displaying! 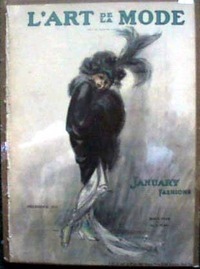 L'ART DE LA MODE, New York, December, 1913. 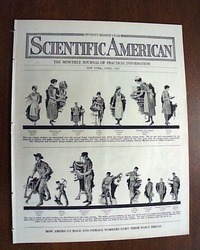 A great issue for framing and displaying! 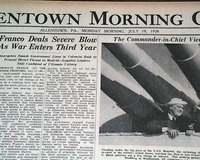 LIBERTY, June 22, 1935. 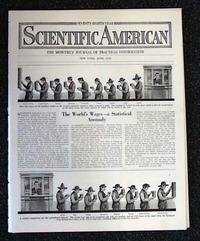 A great issue for framing and displaying! 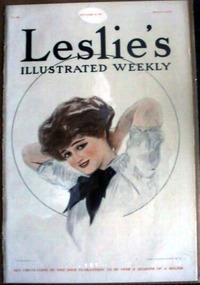 LESLIE'S ILLUSTRATED WEEKLY, New York, September 22, 1910. A great issue for framing and displaying! 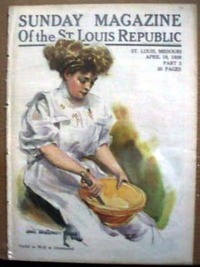 SUNDAY MAGAZINE OF THE ST. LOUIS REPUBLIC, St. Louis, April 18, 1909. 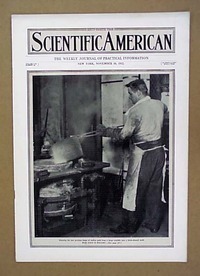 A great issue for framing and displaying! 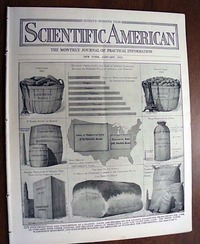 SCIENTIFIC AMERICAN, New York, December 12, 1903. 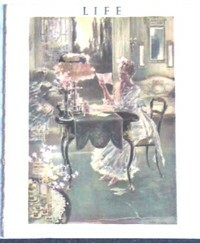 A great issue for framing and displaying! 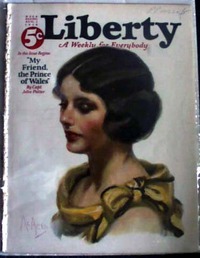 LIBERTY, August 2, 1924. A great issue for framing and displaying! 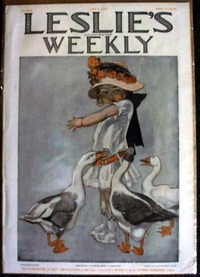 LIFE MAGAZINE, New York, May 18, 1911. 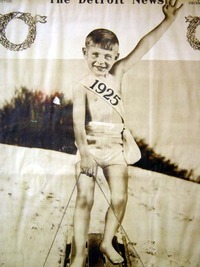 A great issue for framing and displaying! 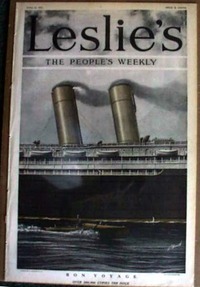 LESLIE'S THE PEOPLE'S WEEKLY, New York, June 13, 1912. A great issue for framing and displaying! 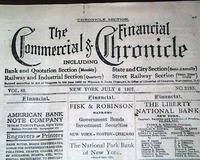 LESLIE'S ILLUSTRATED WEEKLY, New York, June 2, 1910. A great issue for framing and displaying! 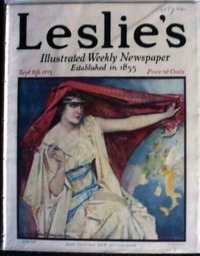 LESLIE'S THE PEOPLE'S WEEKLY, New York, June 20, 1912. A great issue for framing and displaying! 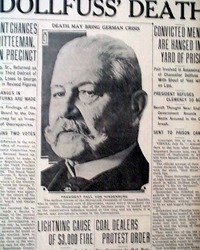 LESLIE'S ILLUSTRATED WEEKLY NEWSPAPER, New York, September 9, 1915. 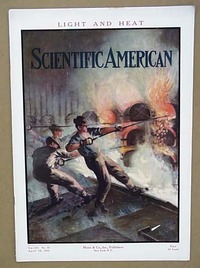 A great issue for framing and displaying! 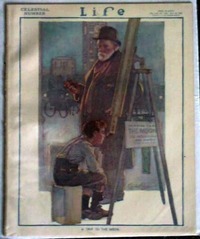 LIFE MAGAZINE, New York, August 27, 1914 A great issue for framing and displaying! 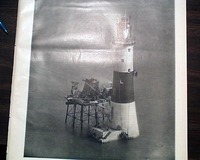 The cover features a full page photo of "The Beachy Head Lighthouse, Recently Completed" in the English Channel. There is an article on this on an inside page. 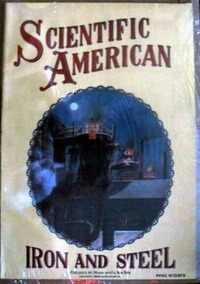 Complete in 18 pages, very nice condition. 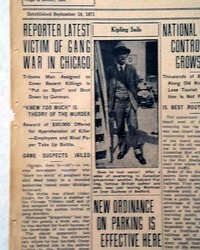 THE DETROIT FREE PRESS, MI May 24, 1949. 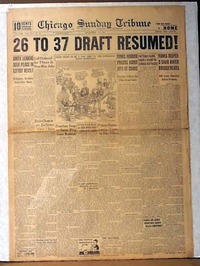 This 26 page EXTRA newspaper has a nice two line banner headline on the front page: "LET'S ARBITRATE! 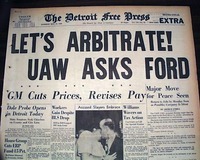 UAW ASKS FORD" with subheads that include: "Major Move for Peace Seen" & "GM Cuts Prices, Rivises Pay". Great to have in this title. Good condition. 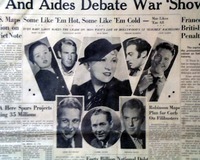 THE NORWICH SUN, NY October 3, 1940. 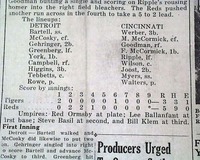 This 16 page newspaper has a two line, two column headline on the front page: "JIMMY RIPPLE'S HOMER AIDS REDS IN EVENINGUP SERIES" with subhead and lineup also on the front page. Inning by inning coverage. Related photos on page 6. Little browning at the margins. 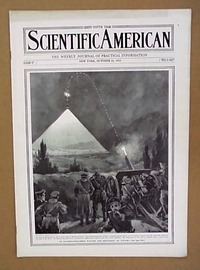 SCIENTIFIC AMERICAN, New York, April 1, 1922, from New York, New York. MOTION PICTURE DAILY, New York, NY, November 7, 1956. Interesting little publication for and about the movie industry, giving the latest information on the various background events of the motion picture world. Television news as well. Too much to mention. Eight pages measuring 12"x9", printed on coated stock paper. Nice shape. 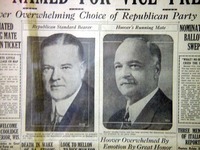 ALLENTOWN MORNING CALL, PA July 18, 1938. 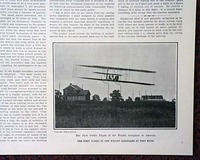 This 16 page newspaper has a two line, one column headlin eon the front page: "Corrigan Off On Mystery Hop" with subhead on the famous flight of Douglas 'Wrongway' Corrigan. Good condition. 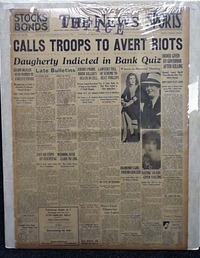 THE TIMES PICAYUNE, New Orleans, LA April 4, 1936. 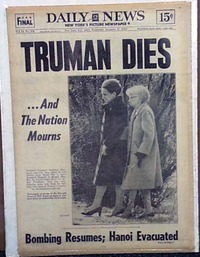 This 32 page newspaper has a nice banner headline above the masthead: "HAUPTMANN DIES IN CHAIR" with subheads and three related photos also on the front page. Good condition. 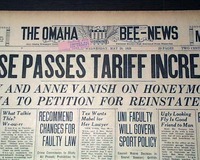 THE OMAHA BEE-NEWS, NE May 29, 1929. 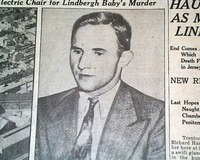 This 20 page newspaper has a one line, seven column headline on the front page: "LINDY AND ANNE VANISH ON HONEYMOON" with subheads on the recent marriage between Charles Lindbergh and Anne Morrow. 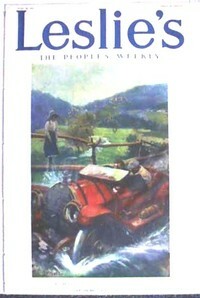 Issue is in good condition. THE KANSAS CITY JOURNAL, MO January 22, 1922. 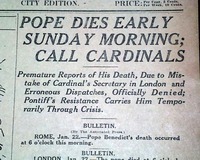 This issue has a three line, two column front page headline: "POPE DIES EARLY SUNDAY MORNING; CALL CARDINALS" with subheads. Slightly yellowed with very minor margin wear, otherwise good. 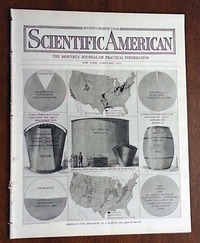 SCIENTIFIC AMERICAN, New York, September 9, 1911 Full page. 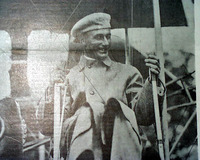 photo: " Atwood in the Aeroplane in which he flew from St. Louis to Chicago and afterward from Chicago to New York." 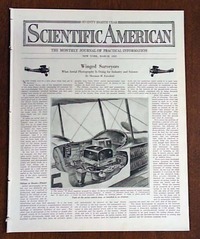 Report inside with two photos: "Atwood and His St. Louis-New York Flight" & another report: "Scientific Developments in Aerial Navigation". 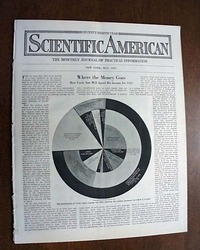 SCIENTIFIC AMERICAN, New York, November 16, 1912 This issue contains the following prints, articles and/or ads: The Mining of Herculaneum, Launching Ships by Trigger, How Gold is Bought. It is nice condition. See photo for additional details. 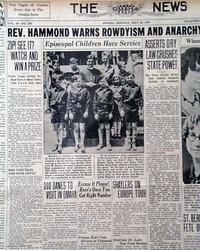 Other articles and advertisements are within. 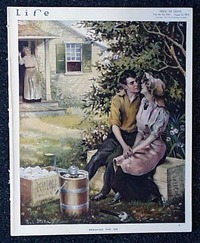 This is complete in 16 pages and is in very good condition. 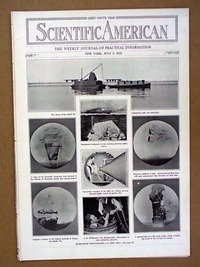 SCIENTIFIC AMERICAN, New York, July 5, 1913 This issue contains the following prints, articles and/or ads: The Genealogy of the Motorcyle, Submarine Photography - A New Art, Teaching Solders How to Shoot, Novel Uses of Compressed Air, Fuel Production in the United States. 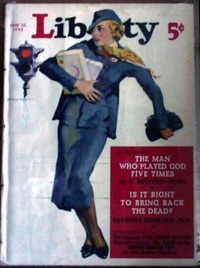 This issue is in nice condition. See photo for additional details. 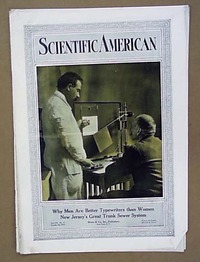 SCIENTIFIC AMERICAN, New York, October 11, 1913 This issues contains the following prints, articles and/or ads: Mechanical Baseball Bulletin Boards, The Remarkable Bi-Plane of Sikorsky, Constructing a Building Upside Down, Chalmers Motor Company ad. Nice Condition. See photo for additional details. 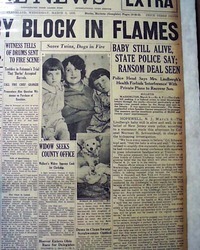 THE DETROIT NEWS, December 28, 1924 This issue has a very nice full front page picture of a young boy for the new year. 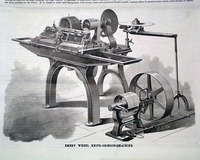 This is the Rotogravure section only. 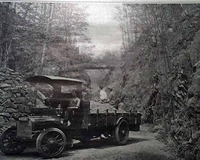 There is some slight wear on a small portion of the picture, which has a minimal effect on the overall appearance. This paper is in good condition. 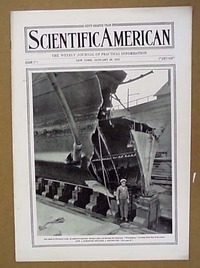 SCIENTIFIC AMERICAN, New York, September 12, 1908 This issue contains the following prints, articles, and/or ads: the "Peluse" - A Huge Bucket Dredger, First Flight of the Wright Aeroplane at Fort Myer, Police Academy at Rome, New Schooner "Germania" racing against "Hamburg" in the Baltic, J. Stevens Arms & Tool Company ad (gun ad).